We live in such a vibrant community, full of energy, people with ideas as well as a setting in an area of stunning natural beauty. One of the reasons I wanted to work with other people in the area to make things better was a sad sense that the local Liberal councillors (and our retiring MP) rather take the people for granted. One example is disappointment about a lack of progress in Marple recently, which will be laid are now that the Co-op has closed. In the Marple Spring of 2011 when the community came together to oppose plans by Asda and the College to build a hideous new retail shed I expected it would be an opportunity to forge a new vision for the centre of Marple. Not so. Instead the interest by developers has evaporated and communications on plans for the Co-op site, the surrounding plots and even of Asda itself has been very poor. Speaking to shop staff yesterday they are due to be transferred and retrained as Asda employees and the target date for a new store is the 30th of April. I hope they're going to be OK. Speaking to shoppers as the shelves emptied (above, with Carl from Mellor) they wonder what the whole of the centre will be like and what can be done to make it flow better. I'll be honest, there was a great deal about the Co-op I didn't like - it was more expensive than most other supermarkets and the range was limited. It's clear the Co-op brand has taken a battering and the slow death of the Marple store has been tied to larger corporate problems, but the local civic gain has been positive. Will Asda be as generous? So far their silence has been deafening, but then it's early days. The Civic Society have been active citizens doing some excellent work. 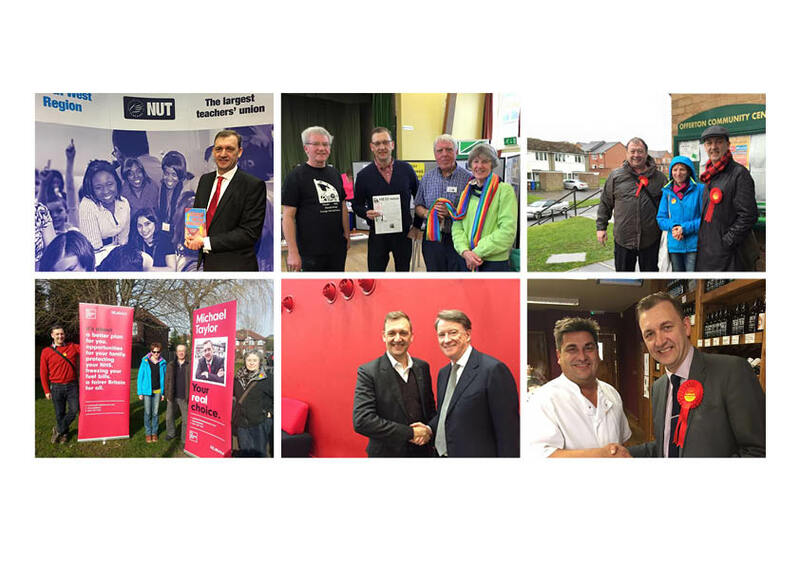 Our Labour Party street stalls and surveys have identified an appetite to contribute to something better locally. We're keen to progress this and would urge local people to put pressure on our councillors to work a lot harder for our community.